Waterpik Complete Care Water Flosser & Sonic Toothbrush $54.99 (Reg $100)! 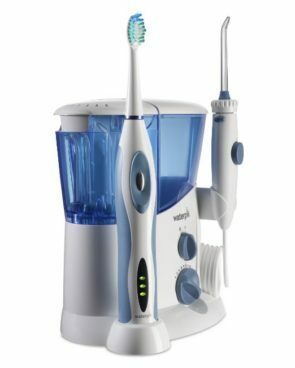 You are here: Home / Great Deals / Amazon Deals / Waterpik Complete Care Water Flosser & Sonic Toothbrush $54.99 (Reg $100)! Add another tool to your oral care arsenal! Get the very highly rated Waterpik Complete Care Water Flosser & Sonic Toothbrush for just $54.99 (Reg $100)!